As a full service Charleston catering service, Fresh Foods Market Catering is able to offer everything you need to make the meal on your special day even more incredible. They are not only completely flexible but they also respond to all communication very quickly. Their catering staff is some of the best in South Carolina and is prepared to make you anything you want from crawfish to BBQ or Italian catering to Mexican food. Everything is made with fresh ingredients and will exceed all your expectations. 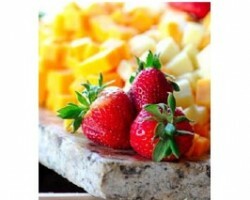 As a couple, you should choose a catering menu that best suits your personalities and your tastes. 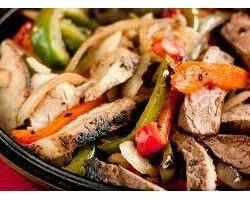 This is why many couples are choosing to work with the top local caterers for slow cooked, melt-off-the-bone BBQ. RightOnQue has an affordable range of options that include all of those Southern comfort foods as well as innovative dishes using the same succulent ingredients. Working with this company makes things simple. You hire their artisans and they will deliver food to keep everyone happy all night long. Iacofano’s is one of the few wedding catering companies in Charleston that offers a gourmet catering option and a more casual BBQ menu. 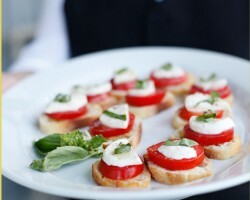 For more than 10 years the chef at this company has been offering the most delicious catering. This means that he is able to complete catering orders for a birthday party or a large formal wedding. When you consider the relatively cheap prices and the incredibly high standards upheld by this company, you will kick yourself if you do not inquire about how the chef can cater at your event. 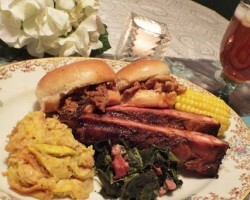 Food for The Southern Soul offers catering in Charleston, SC that could be labeled as a combination of luxurious comfort foods and gourmet options. The full service catering that this company can provide includes food prepared by expert chefs, a professional staff to set up as well as help to serve the food and keep it fresh throughout the night, and all of the serving utensils needed. This company generally serves in a friendlier buffet-style that will allow guests the chance to choose the dishes they like best. Whether you are having a small party or a major corporate lunch, Big Gun has options for every level of sophistication and budget imaginable. 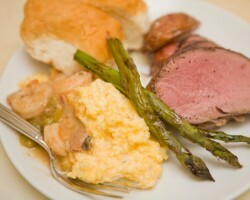 This catering service has been available in the Charleston area since 2002. Chef Austin leads his team to offer the most delicious menu options. You will be able to work with the chef himself and organize which dishes you would like to serve at your wedding and the style in which you would like the guests to receive their meals.